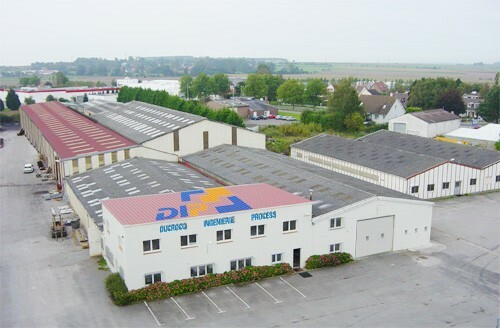 DUCROCQ INGENIERIE PROCESS, ex- DUCROCQ INDUSTRIES, design, develop and implement technical solutions that will solve your industrial problems. Founded in 1976, strong>D.I.P initially positioned itself in maintenance and first-hand industrial tasks in the fields of mechanical construction and handling. Over the years, D.I.P became a key participant in the design and manufacturing of special installations (turn-key equipment as well as subcontractor's equipment). D.I.P is a self-contained company with a comprehensive command of its activities, from design to installation: studies, manufacturing, assembly, commissioning/start up. D.I.P is the partner of choice for some of the biggest names in the Industry/Building Industry with national and international coverage, regardless of the special nature of the project. Do as they all did: trust us !